Select the physical drive by clicking on the drive, Clone Selected Drive button will be enabled. Click on it to clone drive or right click and select the Clone Drive option. If you select the first option, the application will start writing zero on remaining sectors of the destination drive. If you select the second option, the application will continue cloning. If you select the third option, the application will stop the cloning process. If you select the second option, the application will try to detect or will try read attempts on source drive to resume cloning. Select the desired partition that the user wants to clone; Clone Selected Partition button will be enabled. Click on button or right click on partition and select the Clone Partition option. Clone task completion wizard. You can click on "Detail" button to view the cloning report in detail. Partition table on destination drive will not be updated. Edit sector range will only be shown in case of forward or backward cloning and it will not be shown in default cloning. In default mode the cloning on destination drive will be started from sector 63. All the partitions on destination drive will be removed before cloning is started. The size of the destination drive should be equal or greater than the source partition. Select desired partition that the user wants to clone; the Clone Selected Partition button will be enabled. Click on button or right click on partition and select the Clone Partition option. Geeksnerds drive cloning software has the functionality to show particular sectors or view the map of drive. 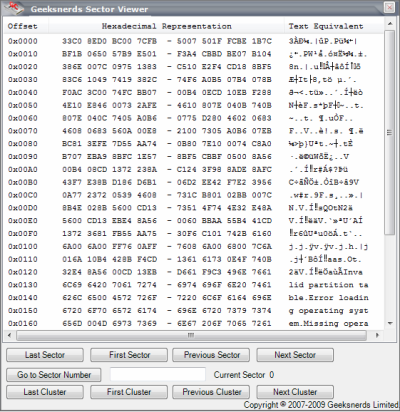 The user can jump to particular sectors of selected drive or partition by using the given option in Sector Viewer, likewise, last sector; first sector, last cluster, first cluster etc. can be viewed. In these setting you set the direction of cloning and what should be the course in case the software detects bad sector on disk. In case of bad sectors on source drive, select Default option, the drop down box will be enabled and then select Forward or Backward Cloning. 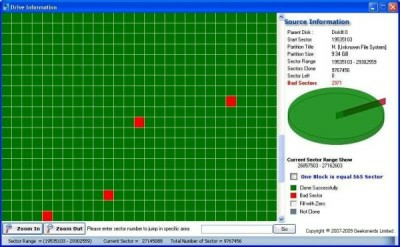 If consecutive 5 bad sectors in 100 sectors are detected by the software then the software will take 1 GB jump. 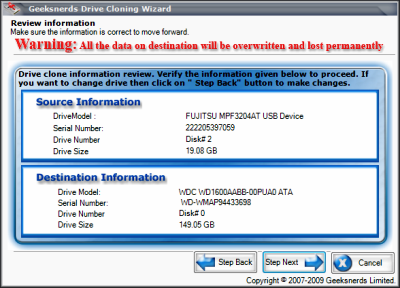 Geeksnerds Drive Cloning software starts cloning from the first sector towards the last sector of selected drive or partition. The software will make attempts to repair bad sectors but it will not take any jump unless and until there are consecutive 5 bad sectors. 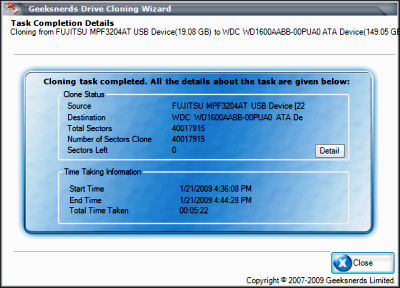 Geeksnerds Drive Cloning software starts cloning from the last sector towards the first sector of selected drive or partition. The software will make attempts to repair bad sectors but it will not take any jump unless and until there are consecutive 5 bad sectors. Select the number of attempts to read and repair bad sector. Select the location to save the generated report of cloning. By default the location is the folder where the application is installed. If the user checks the power option, Power options will be enabled. There are three power options. By selecting the first option, the computer will do nothing on completion of cloning. By selecting the second option the computer will restart after the cloning. By selecting the third option the computer will shut down after the cloning. In order to clone media with bad sectors, select the default option. The drop down box will be enabled. Select Forward or Backward cloning and select read attempts in case of bad sectors. In case of bad sectors, if consecutive 5 bad sectors in 100 sectors are detected by software then the software will take 1 GB jump and starts cloning to complete one cycle. After normal cloning, the software starts cloning bad sectors that were shown left initially. 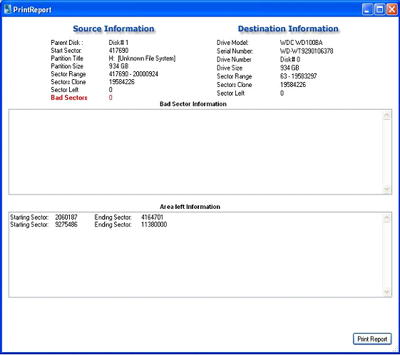 The application attempts to clone bad sector, if the bad sector is repaired then it continues otherwise these sectors will be filled with zero in destination and marked with Red color in reports. Select forward or backward cloning. The application will normally clone in the direction selected without taking jump. This functionality is available in "partition to drive" and "drive to drive cloning". If forward/backward cloning mode is selected, two radio buttons along with text will be available. If you select Default sector range, the cloning will be performed normally. If Edit Sector range is selected, a box will appear. You can edit the source start and end sector but for destination drive you can only edit the start sector range and the end sector will be managed automatically. Geeksnerds Drive Clone has a dynamic reporting. With the help of this feature you can see the sectors of drive graphically and check the status of cloning task that whether the cloning task is completed successfully or not. Sectors of drive are shown in different colors. Cloning report feature includes cloning log in which the number of bad sector are shown along with the physical location of bad sectors. When cloning task is completed the software will show a window. Click on Detail button to view the cloning report. Geeksnerds Drive Clone has a built in report viewing feature. There exists an executable file named GeekLogRpt in folder where the Geeksnerds Drive Clone is installed. By clicking on it, a list of cloned task will be visible as shown below. Select any report by clicking on it and then press Load Report button to view the report. 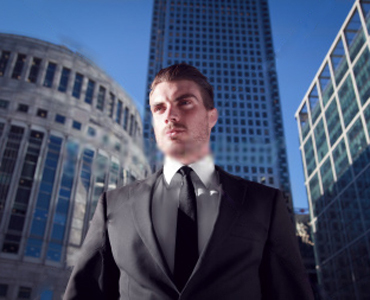 A cloning report contains a report about both source and destination drive. For details about source drive click on Details button enclosed with source drive image, and for details about destination drive click on Details button enclosed with destination drive image. A cloning report of a source drive is given below. Sectors are marked with different colors; each color has different meanings as explained in the given diagram like Bad Sectors are marked with Red color. You can maximize the sector block by using the Zoom In button and minimize them by using Zoom Out button. A cloning report of a destination drive is given below. If the bad sectors cannot be repaired then they are marked with white color as shown below. The area marked with black color is the area that exceeds the range of source drive means if source drive is of 80GB and destination drive is of 200GB then extra 120GB area on destination drive will be marked with Black color and will not be cloned. Print of report can be obtained by clicking on "Printable View" button. Print will show the information about the bad sectors and sectors left without cloning.